BioVendor is a regular participant in the MEDLAB exhibition 4 - 7 February 2018. 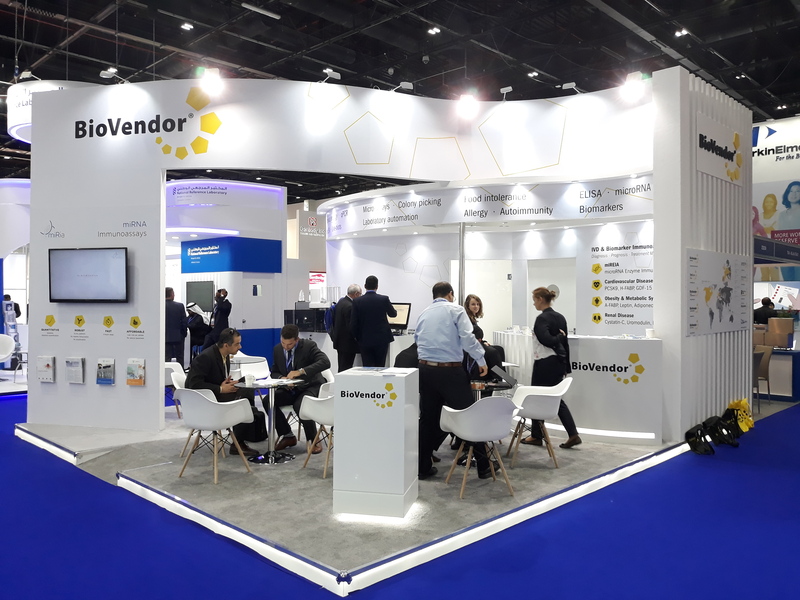 With a very lucrative spot in the main hall, BioVendor's exhibition attracts many eyes and therefore has one of the greatest impacts of all our exhibition booths. BioVendor Research and Diagnostic Products together with TestLine, BioVendor Intruments and Immunolab creates a synergic team at the Medlab exhibition, which offers a comprehensive portfolio of products. Medlab, being one of the greatest laboratory and diagnostics exhibitions worldwide, always generates a tremendous buzz around the stand. We were very excited to present our new miRia products and were ecstatic to learn that our commercial partners and customers share our excitement!